The Israel Air Force on Monday conducted a successful test of an upgraded Iron Dome rocket system. The Defense Ministry said in a statement that the new, upgraded system would enable the placement of Iron Dome systems in more parts of the country, including areas where deployment had been problematic because of topography and other factors. The first “edition” of Iron Dome did yeoman's work during Operation Pillar of Defense last year, intercepting over 90% of the rockets fired at Israel by Gaza Arab terrorists. The Ministry said the upgraded system was even more accurate. In addition, the new system had a wider range, enabling it to more efficiently intercept rockets. During the test, the Ministry said, the new Iron Dome was able to successfully intercept an object heavier than a Fajr rocket. 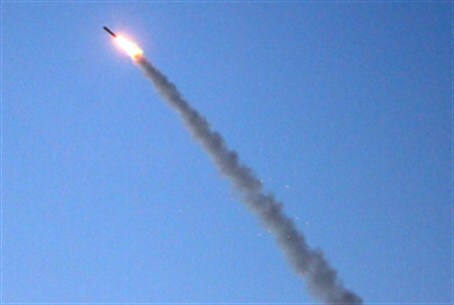 The Ministry said that the test was conducted as part of a wider effort to better protect Israelis from short-range rockets fired at Israel. Further tests of the system can be expected, officials said. Further improvements to the hardware and software that makes up the system are under development, and several new features will be added to Iron Dome in the near future, the Ministry said. “We are working on improving the system both in terms of the range Iron Dome covers, and the speed in which it can deflect rockets. We are also developing methods to deploy Iron Dome against additional threats to Israel,” the Ministry said in a statement. “Iron Dome has proven itself, and we believe it will continue to do so in the future, including new security threats that may develop in the future,” the statement said.